For those wanting to replicate the flavors of Cambodian cooking in their own kitchen at home, our Khmer chef can organize a cooking class for adults and kids! Cooking classes start with a trip to a local market with our chef to gather fresh produce and proteins for your dishes of choice and then head back to the Spice Garden, where our own organic patch of local herbs and spices are grown. 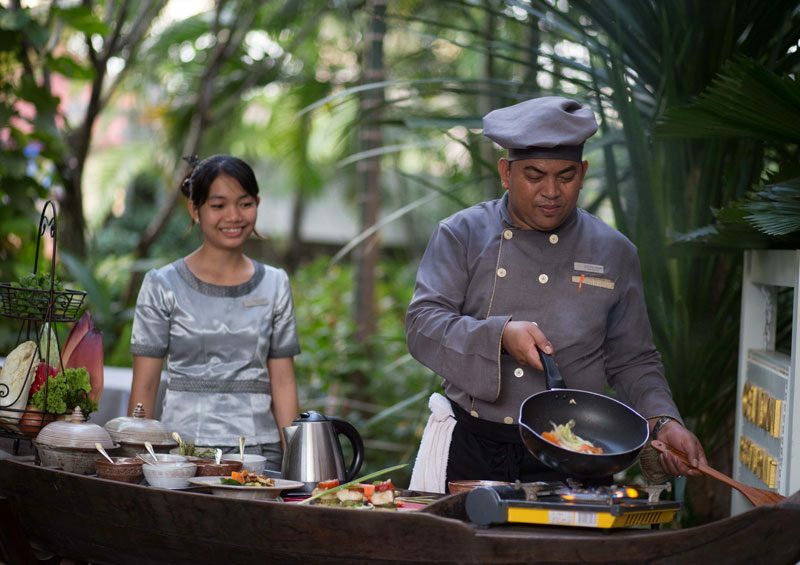 Our chef will then take you on a step-by-step journey to the joys of classic Cambodian cooking which will be served for you to enjoy in time for lunch.